No matter what you need, it's here. You feel like dancing? Project Pabst takes over Zidell Yards. Feel like laughing? 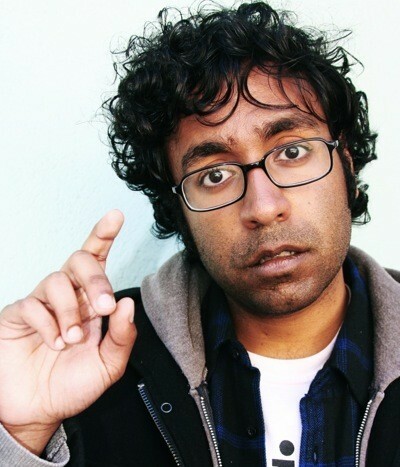 Catch Hari Kondabolu's Helium Comedy Club set. Or maybe it's movie night? Watch Cameron Crowe's Almost Famous with Pennie Lane. Cameron Crowe's Rock 'n' Roll coming-of-age classic, Almost Famous, is going to be playing at the Hollywood Theatre as a part of their Fashion in Film series featuring the real life (yes, she is a real person) Pennie Lane. This is the third installment of Fashion in Film, a film series organized by Portland Monthly's own wardrobe stylist and fashion editor Eden Dawn and Marjorie Skinner, managing editor and fashion colomnist at Portland Mercury. Check out Dawn's lure here. Dave Rawlings Machine is an americana super group. With Gillian Welch of Old Crow Medicine Show, John Paul Jones of Led Zeppelin, and Dave Rawlings himself, the group produces a distinct string-heavy bluegrass sound, employing everything from a banjo to double bass. More than 250 million piano-driven pop records sold are testament to the enduring popularity of this flamboyant, 67-year-old British megastar. You probably already have tickets and something sparkly to wear. This weekend marks the test drive of the city's newest music festival, brought to us by the hipster-beloved Milwaukee-born (and now Russian-owned) brewery. The festival will be based at Zidell Yards during the day on Saturday and Sunday, and in music clubs across the city Friday and Saturday night. 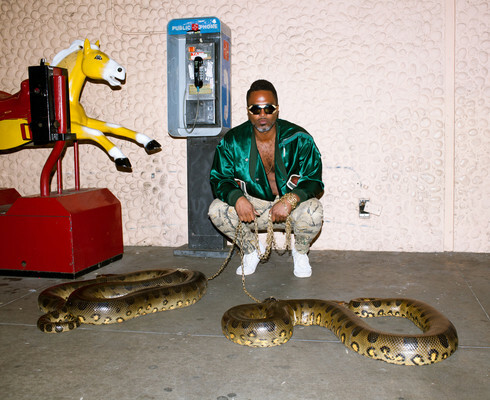 The 42 bands range from Portland alt-indie outfit Modest Mouse to iconic 80s new wave duo Tears For Fears to spacey, hip-hop fringe group Shabazz Palaces. See our picks for the 5 Must-See Bands. Then read our interview with Pabst's main man about why the company picked Portland, his thoughts on taking a similar format to MFNW, and whether it will be an annual affair. 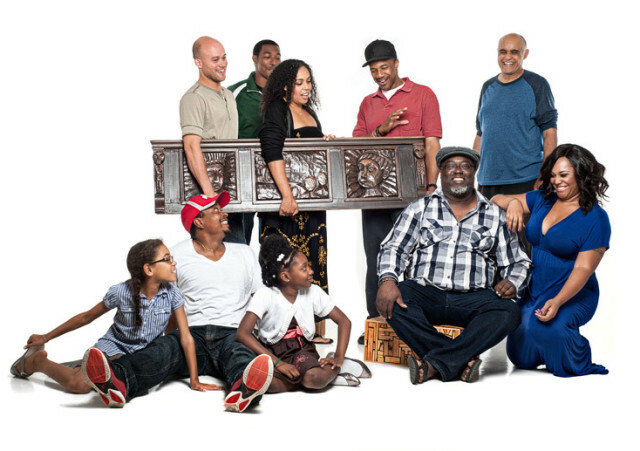 Given the company's outstanding record producing the work of playwright August Wilson, it's surprising Portland Playhouse hasn't tackled the play many regard as Wilson's finest. The Pulitzer Prize winner tells the story of an African American family in 1930s Pittsburgh and its members' disagreement over what to do with an heirloom piano. Read our profile of Sinai La’ryn Jones, the young Portland actress who performed for President Obama last Spring and plays Maretha in The Piano Lesson. Taking inspiration from Our Town, playwright Will Eno plunges into quotidian life in a small hamlet—but in his world, the townsfolk are clever wordsmiths who philosophize on life's big questions. 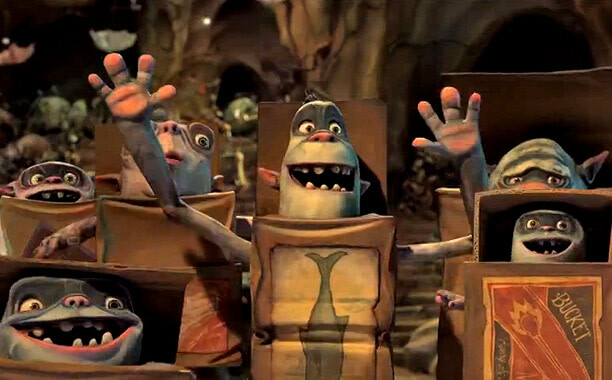 The play was the hit of the 2009 JAW Festival. August marked 40 years since the Gulf of Tonkin Resolution ushered in the Vietnam War. One of only two Senators to stand up against the resolution was Oregon's own Wayne Morse (read our story about the Vietnman naysayer). 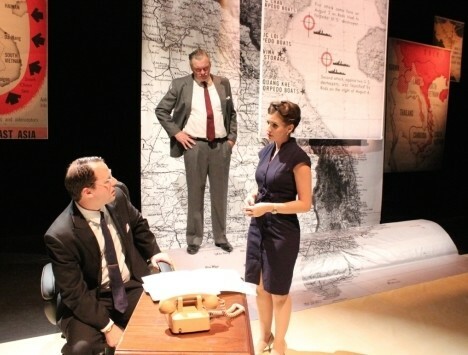 Playwright Steve Lyons has constructed a play around Morse's story using phone conversations, Senate transcripts, and newly released NSA documents. In our era of drone warfare, weapons of mass destruction, and alleged terrorists hiding in every corner of the globe, it could be beneficial to revisit history and see what we can learn. The wildly popular violinist performs Shostakovich's pioneering Violin Concerto no. 1 and Beethoveen's Symphony no. 1. Hari Kondabolu, in the vein of comedy greats Richard Pryor and George Carlin, fits into the category where the best jokes come from people who mean what they're saying. His sets can be as thought-provoking as they are hilarious, made up of bits tackling everything from race relations in "2042 and the White Minority" to pop culture nostalgia in "Weezer Broke My Heart." Also worth noting, he's the brother of Dapwell, of defunct rap group Das Racist. Shelley McLendon's Bad Reputation Production company is collaborating with a slew of Portland's funniest sketch comedians to develop Lone Wolves III, a collection of both solo and duo comedy sketches. The usual cast of Bad Reputation characters are involved with the writing and performing of Lone Wolves III, including Paul Glazier, Tony Marcellino, Janet Rivera, Erin Jean O'Regan, Nicholas Kessler, Wm. Stephen Humphrey, and Jed Arkley. 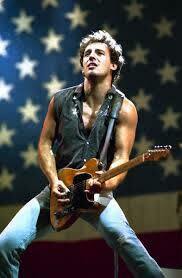 The Boss will be a topic of discussion at Thursday's Museum Mashup. Taking a page from highly successful museum events in other cities (like the Denver Museum of Contemporary Art's Mixed Taste), the Portland Art Museum's newest nighttime event mashes up two seemingly unrelated topics and invites well-versed guests to help connect the dots. For its inaugural outing, it's Bruce Springsteen and a 19th century woodcut of Le Bon Marché, a Paris shopping center. The experts: local music critic and Boss biographer Peter Ames Carlin and the art museum's curator of graphic arts Dr. Mary Weaver Chapin, an expert on French printmaking and 19th century Paris fashion. To top it off, Portland comedian Bri Pruett will moderate the event. Portland's historic library is celelebrating a century and a half of serving the city's readers as the oldest library west of the Mississippi. Festivities kick off inside with a Symphony Storytime with the Oregon Symphony at 10:15am, and outside with the LoveBomb Go-Go Marching Band at 11am. Other performances include Oregon Ballet Theatre, Portland Opera, poet Matthew Dickman, and more. Read our feature on why the landmark library matters more than ever. This day-long festival is the culmination of a week's worth of exhibitions, panels, and workshops about experimental comics and narrative arts. It's free, open to the public, and features dozens of artists from around the world and an exhibit that includes all artists from Los Guardianes de Cosmos. Claire Ashley’s inflatable sculptures are so enormous, their colorful, pop art forms take shape by fitting to their environment. Bahar Yurukoglu, meanwhile, projects films of rugged landscapes onto plexiglass installations. Both artists are making their Portland debuts and will show individual and collaborative work in Disjecta's season-opening exhibition by the new curator-in-residence, Rachel Adams. It's your last chance to catch September's shows. From art superstar Ryan Trecartin to local lights like Victor Calderone, from New York City basements to Oregon beaches, the downtown galleries are seeing summer off with a bang. Designed in collaboration with the Cartoon Network, OMSI's original exhibition Animation will break down the innerworkings of the artform, uncovering the science and art that goes into storyboarding, character design, voice acting, sound effects, and video editing with interactive installations.